and the present; through this, we can forge a healthier relationship with the sea for the future. Christiane Groeben, ed., Places, People, Tools: Oceanography in the Mediterranean and Beyond. Proceedings of the Eighth International Congress for the History of Oceanography (Stazione Zoologica Anton Dohrn, 2013). I – National Contexts: S.A. Morcos, Marine Sciences in Egypt. * R.H. Charlier, C.W. Finkl, A.C. Thys, C. Markowski, Life Cycle Historical Markers of Five Mediterranean Ports. * J. Pérez-Rubín, Inception and Development of Oceanographic Chemistry in Spain (1911-1931). *G.N. Vlahakis, M. Dassenakis, S. Triantafyllaki, Professional Aspects of Oceanographic Development in Greece During the Last 50 Years. * J. Lajus, A. Pantiulin, Soviet Oceanography and the Second International Polar Year. * W. Matthäus, Steps of Development in International Research in the Baltic Sea during the “Hot Phase” of the Cold War 1947-1964. * R. Charlier, More Belgian Bio-marine Contributions since 1830. II – Institutions: A.J. van Bennekom, Political Factors in the Establishment of Biological Stations. * C. Groeben, S. Fokin, From Russia with Love: Russian Scientists at the Naples Zoological Station (1874-1934). * A.S. Bologa, A.F. Bologa, R.H. Charlier, Ioan Borcea and the First Romanian Marine Zoological Station at Agigea (1926). * J. Smed, The Decline of ICES during the First World War and its Rise After the War. * S.A. Morcos, Mediterranean Standard Seawater and Mediterranean Commission (CIESM). III – People: D. Day, E.L. Mills, Charles Atwood Kofoid and the Biological Stations of Europe. * J. Carpine-Lancre, A. McConnell, Prince Albert I and J.Y. Buchanan: Mediterranean Investigations. * S.A. Morcos, X.A. Fraga, G. Parrilla, The Dawn of Spanish Oceanography: Odón de Buen and His Letters to Henri de Lacaze-Duthiers, Prince Albert I and Jules Richard. * N.A. Gorjashko, S. Fokin, Konstantin Karlovich Saint-Hilaire (1866-1941) and His Biological Station at the White Sea (1911-1940). * J. Smed, Martin Knudsen as Designer of Oceanographic Instruments. IV – Tools: S.A. Morcos, M. El-Abbadi, The Hydroscope of Alexandria. * S.A. Morcos, A. Poisson, Challenger Centenary Calibration of Old Hydrometers. * R.H. Charlier, M.-C.P. Chaineux, Renascence of Tide Mills II. * J. Smed, Contribution to the History of Knudsen’s Hydrographical Tables. * C. Charlier, R.H. Charlier, Calypso on the Mend. V – Exploration Then and Now: M. Zore-Armanda, Early Investigation of the Adriatic, Mediterranean and Red Sea based at the City of Pola. * E. Wulff, J. Pérez-Rubín, The First International Oceanography Congress in Spain (Seville, 1929). * A. Svansson, The Mediterranean Part of the Swedish Albatross Expedition. * M.C. Gambi, I. D’Ambra, G. Fiorito, V. Saggiomo, Past and Present Biodiversity in the Gulf of Naples: the Moncharmont Data Base. * N. Della Croce, M. Petrillo, Atacama Trench International Expedition. An order form for the book is here. Gregory T. Cushman, Guano and the Opening of the Pacific World: A Global Ecological History (Cambridge, 2013). For centuries, bird guano has played a pivotal role in the agricultural and economic development of Latin America, East Asia and Oceania. As their populations ballooned during the Industrial Revolution, North American and European powers came to depend on this unique resource as well, helping them meet their ever-increasing farming needs. This book explores how the production and commodification of guano has shaped the modern Pacific Basin and the world’s relationship to the region. Marrying traditional methods of historical analysis with a broad interdisciplinary approach, Gregory T. Cushman casts this once little-known commodity as an engine of Western industrialization, offering new insight into uniquely modern developments such as environmental consciousness and conservation movements; the ascendance of science, technology and expertise; international relations; and world war. Chapters 5 and 6 explain how marine zoologists, ornithologists, and ecologists from the US , UK, and Peru engineered the revival of Peru’s guano industry based on the conservation of living populations of marine birds. Chapters 9 and 10 on the “Blue Revolution” explain how fishery scientists and population biologists helped Peru build the largest fishing industry in the world, but became overly confident in their ability to manage intensive fishing in a strictly regulated environment and contributed to the collapse of the fishery in 1972-73. 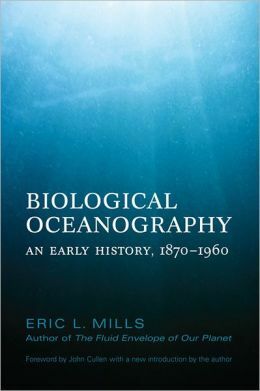 First published in 1989, Eric L. Mills’s comprehensive history of biological oceanography has been praised as ‘superb’ (BioScience) and ‘proof that history need not be dull’ (The Northern Mariner). This first history of the field, which chronicles the scientific work and creativity of its chief contributors, tells a riveting story that is far from narrowly scientific and thoroughly accessible to general readers. Mills shows how the work and ideas of the main actors are inseparable from some seemingly unrelated factors, including Prussian imperialism, agricultural chemistry, microbiology, and the problems of German universities. Mills also illustrates the significant roles played in the field’s development by the failures of commercial fisheries, the development of analytical chemistry, the establishment of international scientific organizations, and sheer scientific curiosity. This new edition of Biological Oceanography includes a fresh introduction by the author, as well as an original foreword by noted oceanographer John Cullen. It makes an excellent companion to Mills’s recent history of mathematical and physical oceanography, the multi-award-winning and widely acclaimed The Fluid Envelope of Our Planet. and understanding the Antarctic environment, and the Nazi Party’s drive for self-sufficiency on the road to war. Germany had joined the whaling nations in the South Atlantic, keen to obtain whale oil without having to use valuable foreign currency reserves needed for rearmament. It decided to explore the possibility of setting up a supply base on the coast of Dronning Maud Land and in the absence of any formal claim to that coast by Norway, saw an opportunity to claim Antarctic territory there for itself. Oceans have had a mysterious allure for centuries, inspiring fears, myths, and poetic imaginations. By the early twentieth century, however, scientists began to see oceans as physical phenomena that could be understood through mathematical geophysics. The Fluid Envelope of Our Planet explores the scientific developments from the early middle ages to the twentieth century that illuminated the once murky depths of oceanography. Tracing the transition from descriptive to mathematical analyses of the oceans, Eric Mills examines sailors’ and explorers’ observations of the oceans, the influence of Scandinavian techniques on German-speaking geographers, and the eventual development of shared quantitative practices and ideas. A detailed and beautifully written account of the history of oceanography, The Fluid Envelope of Our Planet is also an engaging account of the emergence of a scientific discipline. 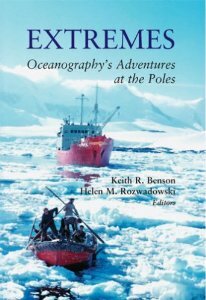 Keith R. Benson and Helen M. Rozwadowski, Extremes: Oceanography’s Adventures at the Poles (Science History, 2007). The story of science practiced in the Arctic and Antarctic extremes is a story of an unfamiliar and forbidding environment transformed over the course of two centuries into a viable and indispensable place of scientific study. This volume includes papers presented at the Fourth Maury Conference and Workshop in Barrow, Alaska. Helen M. Rozwadowski, Fathoming the Ocean: The Discovery and Exploration of the Deep Sea (Belknap, 2005). By the middle of the nineteenth century, as scientists explored the frontiers of polar regions and the atmosphere, the ocean remained silent and inaccessible. The history of how this changed—of how the depths became a scientific passion and a cultural obsession, an engineering challenge and a political attraction—is the story that unfolds in Fathoming the Ocean. In a history at once scientific and cultural, Helen Rozwadowski shows us how the Western imagination awoke to the ocean’s possibilities—in maritime novels, in the popular hobby of marine biology, in the youthful sport of yachting, and in the laying of a trans-Atlantic telegraph cable. The ocean emerged as important new territory, and scientific interests intersected with those of merchant-industrialists and politicians. Rozwadowski documents the popular crazes that coincided with these interests—from children’s sailor suits to the home aquarium and the surge in ocean travel. She describes how, beginning in the 1860s, oceanography moved from yachts onto the decks of oceangoing vessels, and landlubber naturalists found themselves navigating the routines of a working ship’s physical and social structures. Fathoming the Ocean offers a rare and engaging look into our fascination with the deep sea and into the origins of oceanography—origins still visible in a science that focuses the efforts of physicists, chemists, geologists, biologists, and engineers on the common enterprise of understanding a vast, three-dimensional, alien space. Jacob Darwin Hamblin, Oceanographers and the Cold War: Disciples of Marine Science (Washington, 2005). “Oceanographers and the Cold War” is about patronage, politics, and the community of scientists. It is the first book to examine the study of the oceans during the Cold War era and explore the international focus of American oceanographers, taking into account the roles of the U.S. Navy, United States foreign policy, and scientists throughout the world. Jacob Hamblin demonstrates that to understand the history of American oceanography, one must consider its role in both conflict and cooperation with other nations. Paradoxically, American oceanography after World War II was enmeshed in the military-industrial complex while characterized by close international cooperation. The military dimension of marine science – with its involvement in submarine acoustics, fleet operations, and sea-launched nuclear missiles – coexisted with data exchange programs with the Soviet Union and global operations in seas without borders. From an uneasy cooperation with the Soviet bloc in the International Geophysical Year of 1957-58, to the NATO Science Committee in the late 1960s, which excluded the Soviet Union, to the U.S. Marine Sciences Council, which served as an important national link between scientists and the government, “Oceanographers and the Cold War” reveals the military and foreign policy goals served by U.S. government involvement in cooperative activities between scientists, such as joint cruises and expeditions. It demonstrates as well the extent to which oceanographers used international cooperation as a vehicle to pursue patronage from military, government, and commercial sponsors during the Cold War, as they sought support for their work by creating ‘disciples of marine science’ wherever they could. 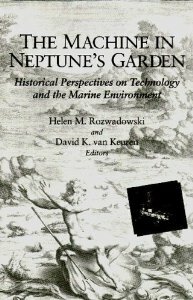 Helen M. Rozwadowski and David K. van Keuren, eds., The Machine in Neptune’s Garden: Historical Perspectives on Technology and the Marine Environment (Science History, 2004). Essays from the third Maury Workshop held in June 2001 at the facilities of the Monterey Bay Aquarium Research Institute on the role of technology in advancing and shaping our understanding of the marine environment. Includes essays by Helen Rozwadowski, David K. van Keuren, Keith R. Benson, Michael S. Reidy, Eric L. Mills, Gary E. Weir, Ronald Rainger, Gregory T. Cushman, Vera Schwach, Kathleen Broome Williams, and Christine Keiner. Helen Rozwadowski, The Sea Knows No Boundaries: A Century of Marine Science Under ICES (Washington, 2002). Set against the backdrop of ongoing geopolitical conflict of the twentieth century, the history of the International Council for the Exploration of the Sea (ICES) illustrates the complexity of forging international collaboration to tackle environmental resource issues and pursue scientific knowledge. Originally brought together to address the problem of overfishing in the North Atlantic, ICES founders envisioned an international scientific collaboration that would achieve knowledge impossible from investigations by a single nation. In describing the successes and failures of the scientific and management approaches that ICES pursued, Helen Rozwadowski has used the organization as a lens to reveal the ways in which humans have changed the marine environment over the last century, and especially the ways in which they have sought to control and modify those changes. Commissioned for the organization’s centenary, the book is the result of an exhaustive review of organizational archives and interviews with many of its present and past participants. Rozwadowski’s history of ICES provides unique insight into the relationship between fisheries science and biological oceanography. Keith R. Benson and Philip F. Rehbock, Oceanographic History: The Pacific and Beyond (Washington, 2002). From a study of knowledge of the sea among indigenous cultures in the South Seas to inquiries into the subject of sea monsters, from studies of Pacific currents to descriptions of ocean-going research vessels, the sixty-three essays presented here reflect the scientific complexity and richness of social relationships that characterize ocean-ographic history. Based on papers presented at the Fifth International Congress on the History of Oceanography held at the Scripps Institution of Oceanography (the first ICHO meeting following the cessation of the Cold War), the volume features an unusual breadth of contributions. 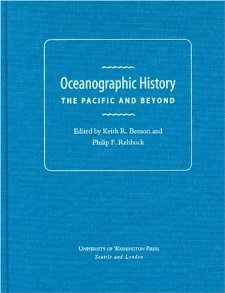 Oceanography itself involves the full spectrum of physical, biological, and earth sciences in their formal, empirical, and applied manifestations.The contributors to “Oceanographic History: The Pacific and Beyond” undertake the interdisciplinary task of telling the story of oceanography’s past, drawing on diverse methodologies. Their essays explore the concepts, techniques, and technologies of oceanography, as well as the social, economic, and institutional determinants of oceanographic history. Although focused on the Pacific, the geographic range of subjects is global and includes Micronesia, East Africa, and Antarctica; the bathymetric range comprises inshore fisheries, coral reefs, and the ‘azoic zone’. The seventy-one contributors represent every continent of the globe except Antarctica, bringing together material on the history of oceanography never before published. Through two victorious world conflicts and a Cold War, the U.S. Navy and American ocean scientists drew ever closer, converting an early marriage of necessity into a relationship of astonishing achievement. Beginning in 1919, Gary Weir’s An Ocean in Common traces the first forty-two years of their joint quest to understand each other and the deep ocean. Early in the twentieth century, American naval officers questioned the tactical and strategic significance of applied ocean science, demonstrating the gap between this kind of knowledge and that deemed critical to naval warfare. At the same time, scientists studying the ocean labored in their inadequately funded, discreet disciplines, seemingly content to keep naval warfare at arm’s length. German U-boat success in World War I changed these views fundamentally, bringing ocean science insights to an increasing number of naval objectives. Driven primarily by anti-submarine priorities, the physics, chemistry, and geology of the ocean, more than its biology, became the early focus of American ocean studies. The World War II experience solidified the Navy’s relationship with ocean scientists, and the years after 1945 found the American military investing heavily in both applied and basic research. Today, oceanography is a permanent resident on the bridge of American fighting ships and the Navy continues to provide much of the impetus and funding for fundamental research, in both naval and civilian laboratories. In An Ocean in Common Gary Weir focuses on the compelling motives and carefully engineered course that brought scientists and naval officers together, across a considerable cultural divide, to achieve a more comprehensive understanding of one another and the world ocean. Weir details how this alliance laid the powerful multidisciplinary foundation for long-range ocean communication and surveillance, modern submarine warfare, deep submergence, and the emergence of oceanography and ocean engineering as independent and vital fields of study. This is a wonderful introductory selection of books on the topic of oceanography’ history, and hopefully will stimulate more such volumes on the various sub-disciplines, including the marine environmental ones, e.g. Marine ecotoxicology, which really do need to be described while the pioneers are still with us!